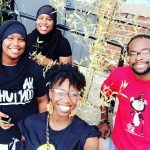 The University District Freedom School (UDFS) is the strongest Children’s Defense Fund Freedom School in Ohio with potential of being amongst the most successful summer programs in the Midwest. UDFS led the way on many fronts by providing more just wages, more days off, diverse programming, restorative practices, healthier food options, youth led non violent direct action and a more extensive training program for Servant Leader Interns (SLI’s). To further build on our programming, UDFS is developing a high school program called ROAR (Relate, Organize, Act, Reflect) to address the pathways to youth confinement and how young people should be leading on issues that directly impacts them. This session will highlight our approach from a staff and student perspective.